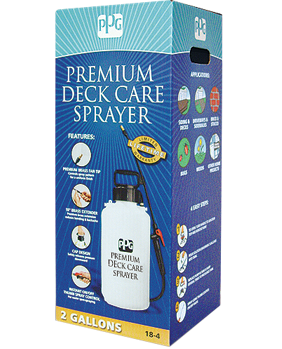 Our Premium Deck Care Sprayer is available in a two gallon size to make deck care fast, safe, and easy. 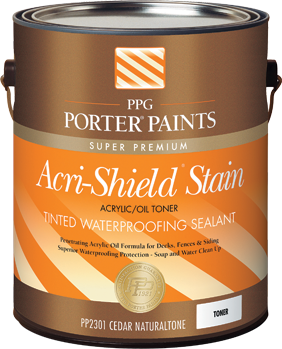 A premium brass-tipped poly wand controls the spray pattern for a uniform finish. 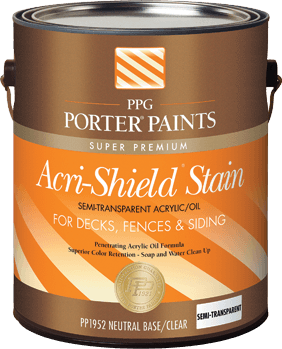 For use with our deck cleaner, Mildew Check®, and Acri-Shield® stains and toners. Clean, well-prepared surfaces give you the best results. The chart below will help you choose the right product for your project.